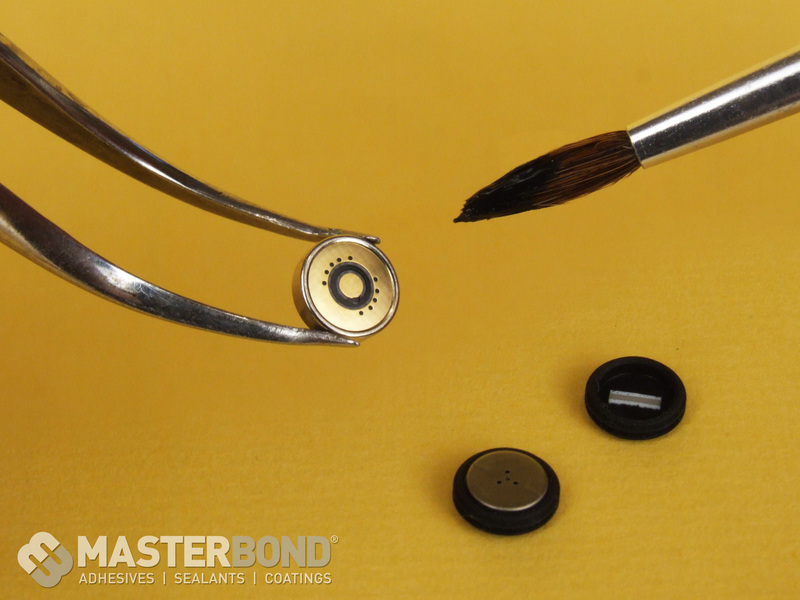 Capable of tolerating the harsh environments of the medical industry, Master Bond EP42HT-2ND2Med Black fully complies with the testing requirements of USP Class VI plastics. This two component epoxy resists recurrent autoclaving and sterilizations including radiation, steam, ethylene oxide, and chemical sterilants. EP42HT-2ND2Med Black is an excellent electrical insulator with a volume resistivity over 1012 ohm-cm, a thermal expansion coefficient of 35 to 40 in/in x 10-6/°C, a dielectric constant of 3.8, and a tensile strength exceeding 12,000 psi at ambient temperatures. Heat resistant up to 450°F, it also withstands chemicals such as inorganic and organic acids, alkalis, organic solvents, and aromatic hydrocarbons. This epoxy conveniently cures at room temperature in 48 to 72 hours. Its optimal curing schedule is overnight at room temperature followed by 2 to 3 hours of heat curing at 100°C to 125°C. EP42HT-2ND2Med Black has a noncritical mix ratio of 100:40 by weight or 100:50 by volume, and a paste consistency with minimal flow when applied. It offers a lengthy working life of 30 to 45 minutes for a mixed 100 gram batch at ambient temperatures, which can be increased by using shallow mixing vessels or mixing smaller batches. Parts A and B for EP42HT-2ND2Med Black are available for use in syringes, half pints, pints, quarts, gallons, and five gallon containers.